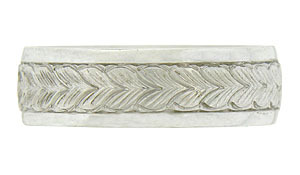 A richly carved crown of acanthus leaves covers the face of this antique style mens wedding band. The edges of the wedding ring are polished smooth. 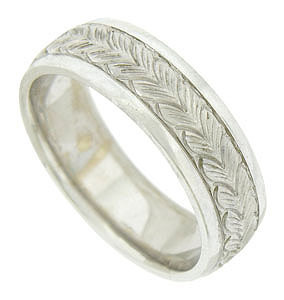 The ring is crafted of 14K white gold and measures 6.85 mm in width. Size 10.